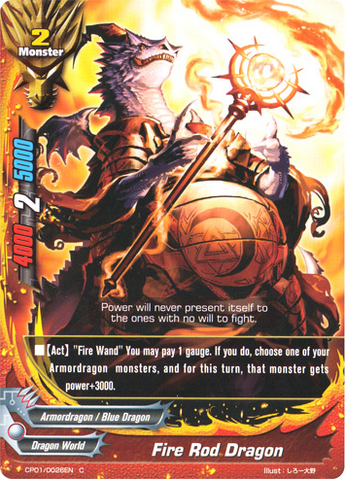 - Includes further support for Dragon World. 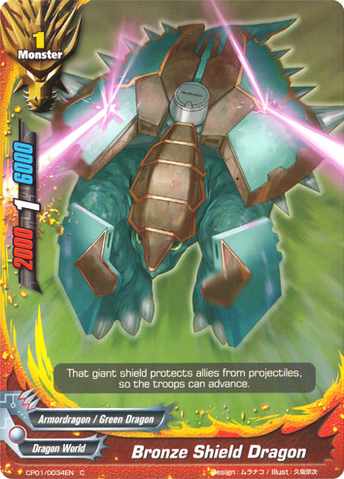 - Introduces the Move Keyword. 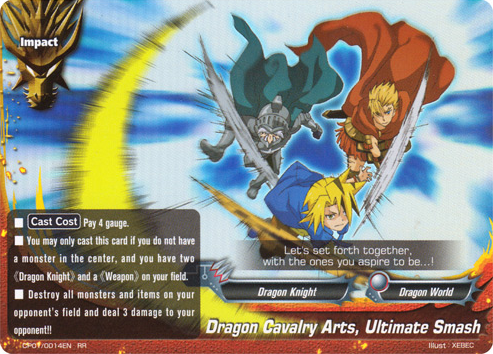 - Includes cards used by Gao Mikado, Tasuku Ryuenji and Noboru Kodo. - [Call Cost] Pay 2 gauge. - [Call Cost] Pay 3 gauge. 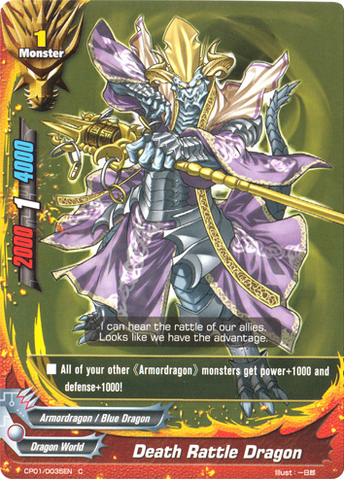 & Put the top card of you deck into this monster's soul. 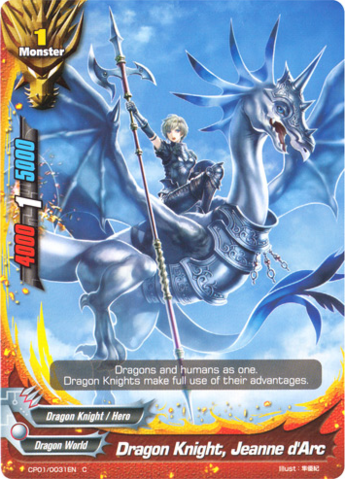 - This card gets power+1000 for each 《Dragon Knight》 you have in the drop zone. 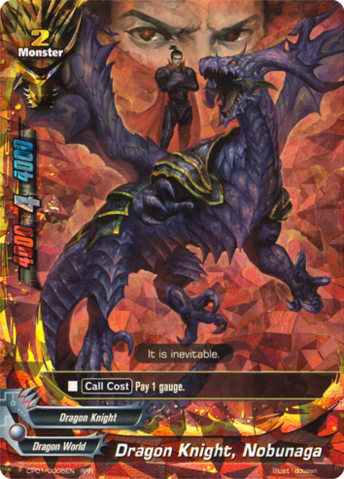 - [Call Cost] Pay 1 gauge. 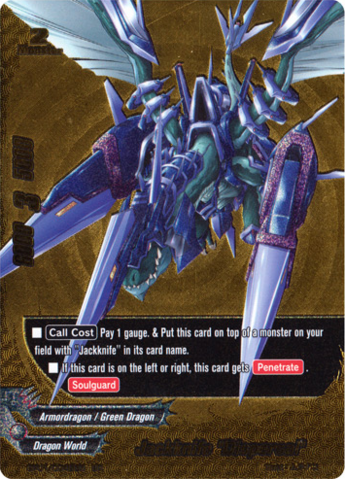 & Put this card on top of a monster on your field with "Jackknife" in its card name. - [Call Cost] Pay 1 gauge. - [Cast Cost] Pay 4 gauge. 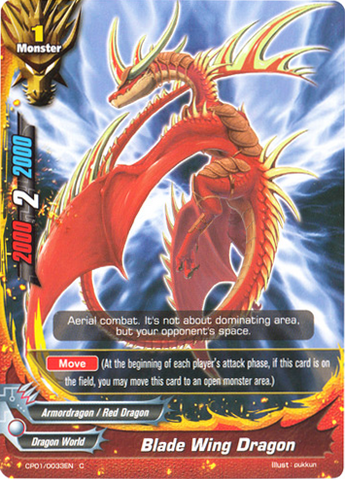 - Destroy all size 2 or less monsters on your opponent's field, and deal 2 damage to your opponent! - [Call Cost] Pay 2 gauge. 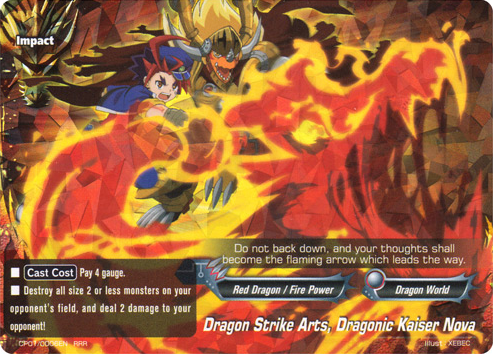 & Put the top two cards from your deck into this card's soul. 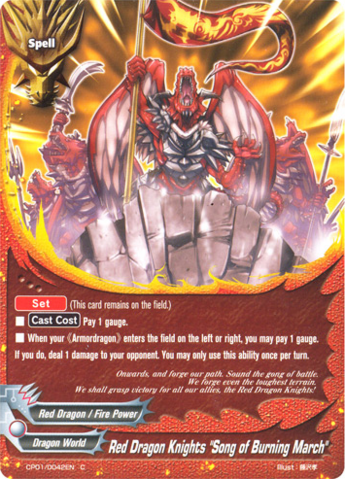 - "Anger Inferno" When this card enters the field, if there is an 《Armordragon》 in this card's soul, destroy a monster on your opponent's field! 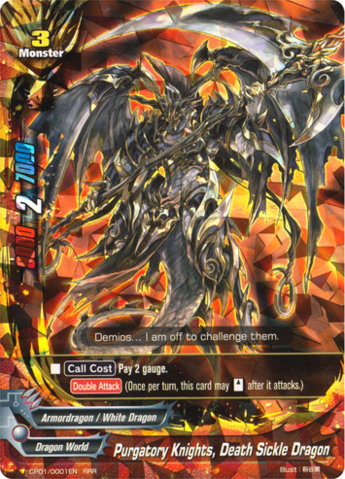 - [Activate] "Inferno Shoot" You may discard two soul from this card. 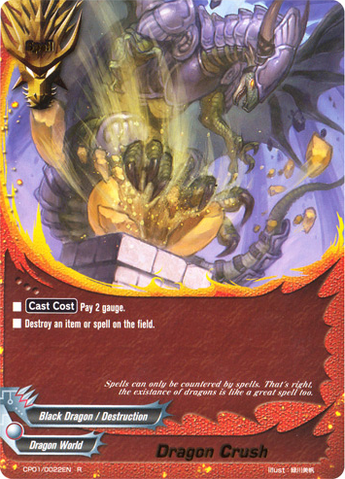 If you do, destroy a monster on your opponent's field. - [Call Cost] Pay 3 gauge. 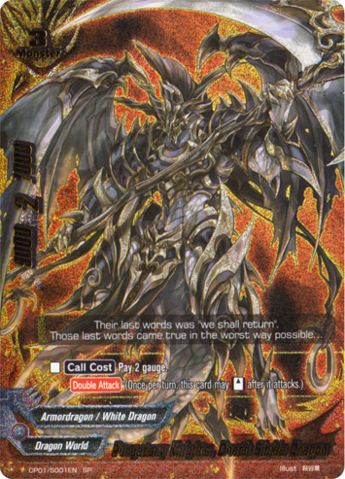 & Put a card from your hand into this monster's soul. - [Counter] [Activate] "Aura Boost" You may pay 1 life. 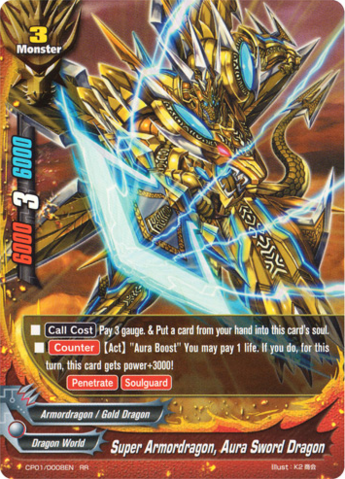 If you do, for this turn, this card gets power+3000. 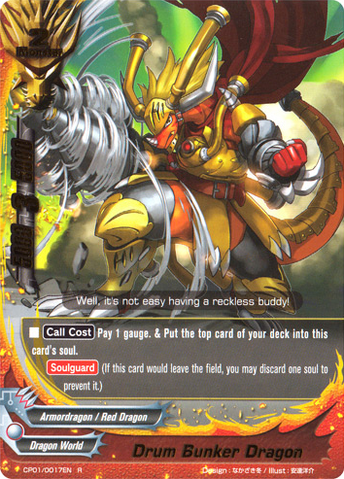 - [Call Cost] Put two 《Dragon Knight》 from your field into the gauge. 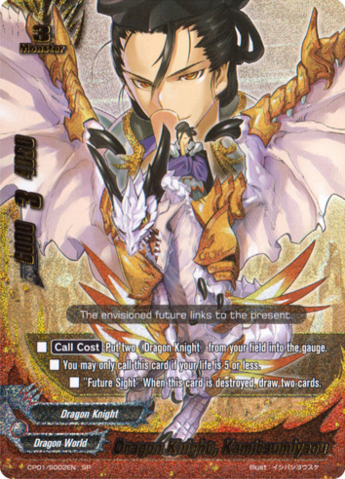 - You may only call this card if your life is 5 or less. 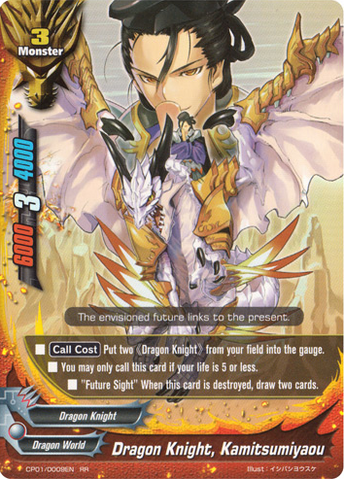 - "Future Sight" When this card is destroyed, draw two cards. 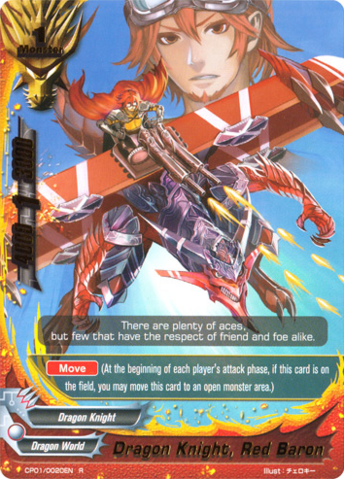 - [Activate] "Thunder Raid" If this card is on the left or right, you may pay 2 life. 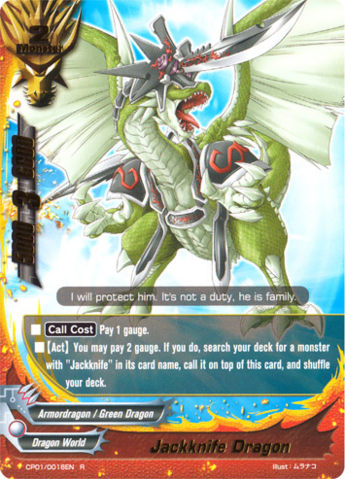 If you do, destroy a monster on your opponent's field! 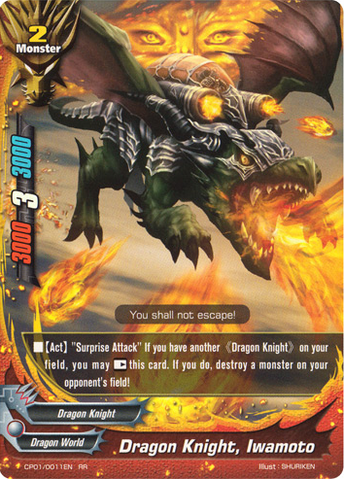 - [Activate] "Surprise Attack" If you have another 《Dragon Knight》 on your field, you may [Rest] this card. 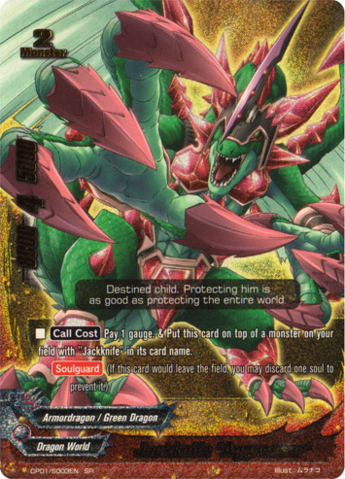 If you do, destroy a monster on your opponent's field! 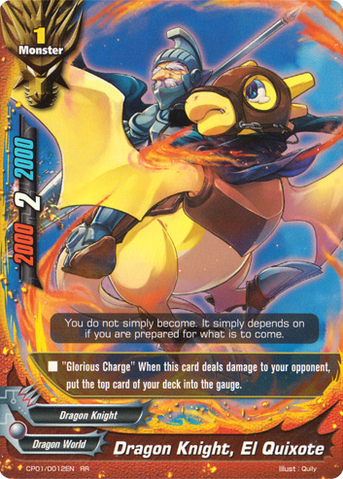 - "Glorious Charge" When this card deals damage to your opponent, put the top card of your deck into the gauge. 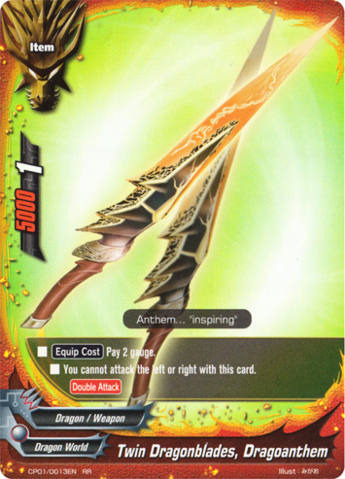 - [Equip Cost] Pay 2 gauge. 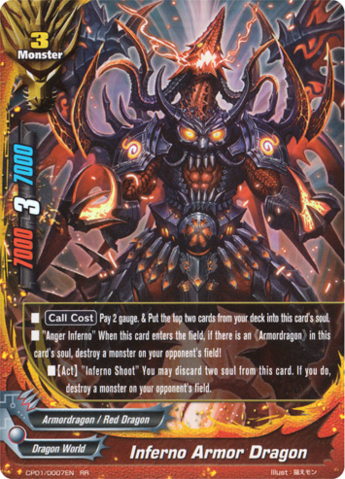 - You may only cast this card if you do not have a monster in the center, and you have two 《Dragon Knight》 and a 《Weapon》 on your field. 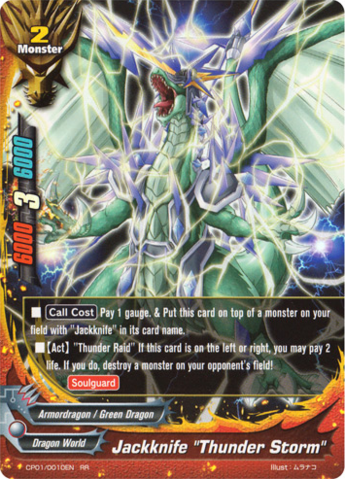 - Destroy all monsters and items on your opponent's field and deal 3 damage to your opponent! - [Call Cost] Pay 3 gauge. 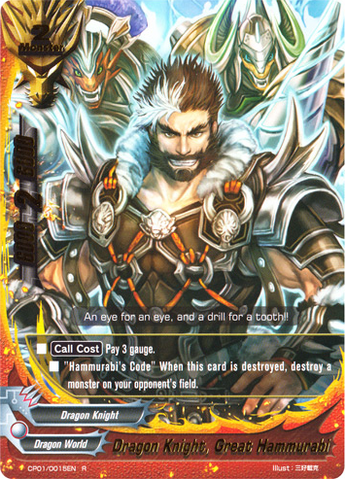 - "Hammurabi's Code" When this card is destroyed, destroy a monster on your opponent's field. - [Call Cost] Pay one gauge. - [Activate] You may pay 2 gauge. 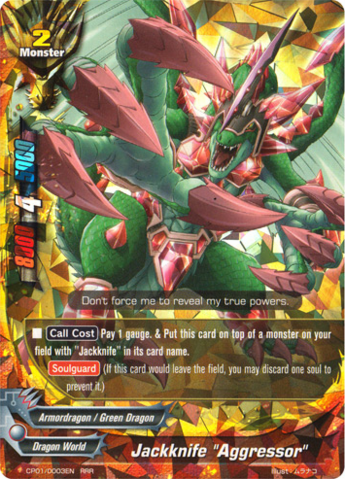 If you do, search your deck for a card with "Jackknife" in its card name other than "Jackknife Dragon", call it on top of this card, and shuffle your deck. - [Call Cost] Pay 1 gauge. 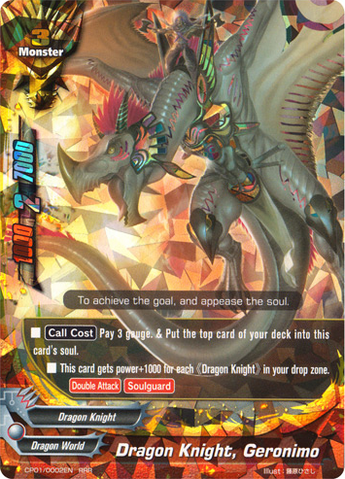 & Put the top card of your deck into this monster's soul. 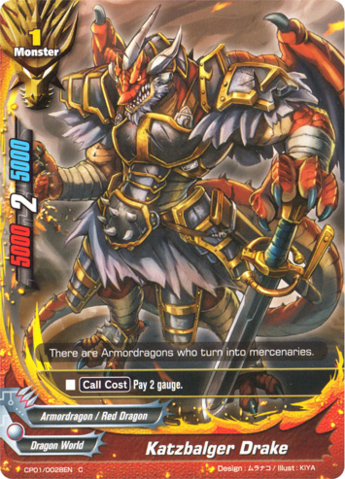 - [Activate] "Kanonenvogel" You may discard a 《Dragon Knight》 from your hand. 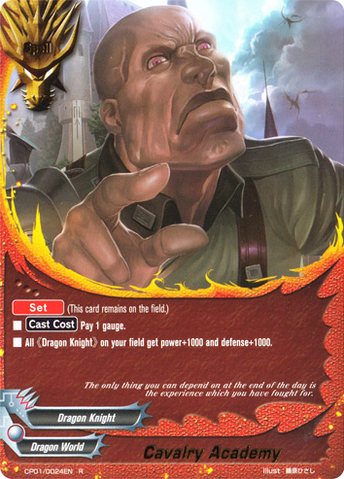 If you do, return this card to your hand, and deal 2 damage to your opponent! 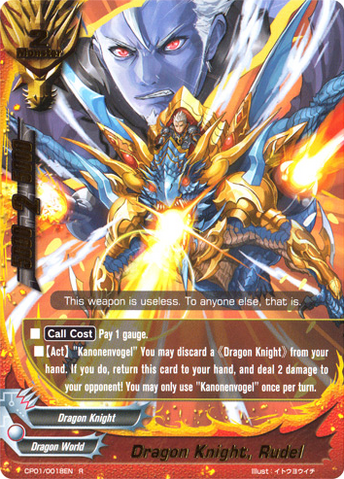 You may only use"Kanonenvogel" once per turn. 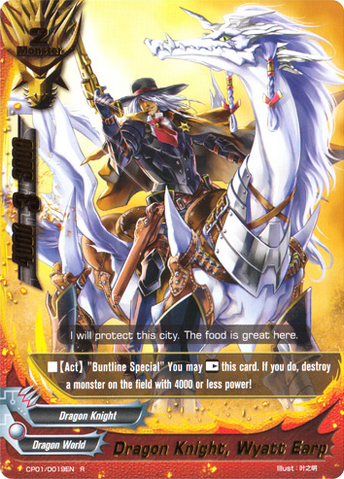 - [Activate] "Buntline Special" You may [Rest] this card. 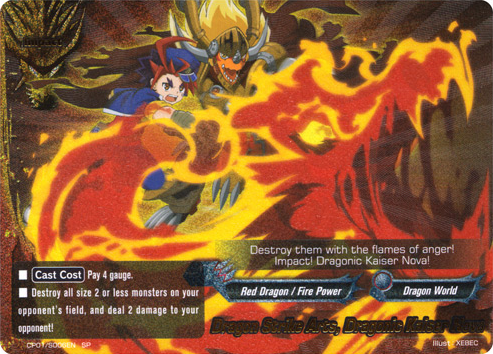 If you do, destroy a monster on the field with 4000 or less power! 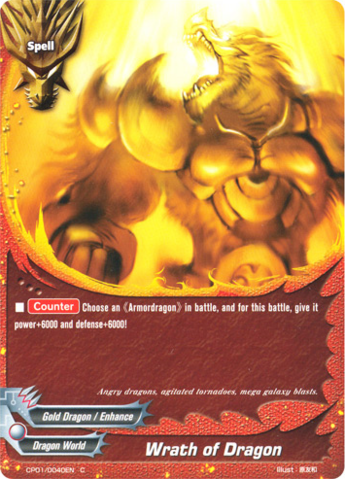 - You may only cast this card if you are being attacked. 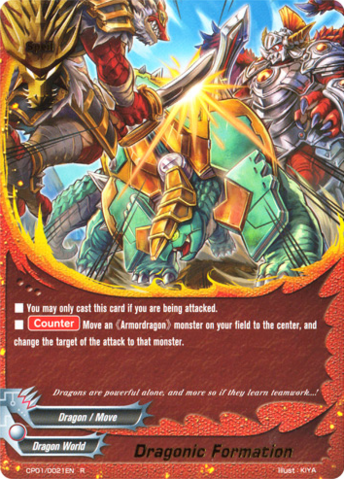 - [Counter] Move an 《Armordragon》 monster on your field to the center, and change the target of the attack to that monster. - [Cast Cost] Pay 2 gauge. - Destroy an item or spell on the field. 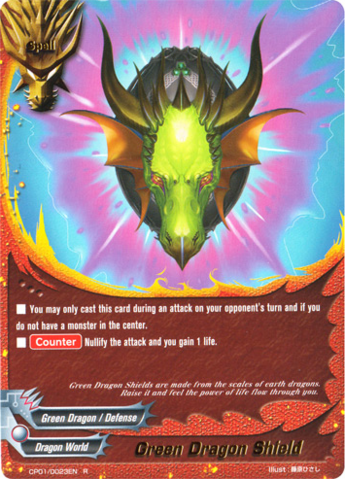 - [Counter] Nullify the attack and you gain 1 life. - [Cast Cost] Pay 1 gauge. 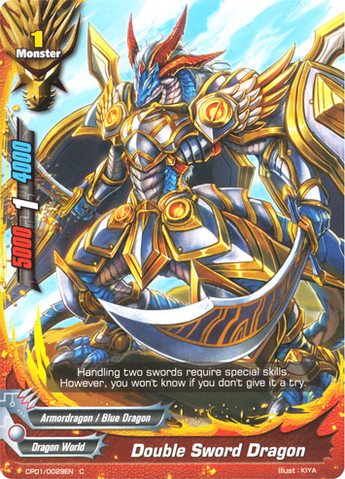 - All 《Dragon Knight》 on your field get power+1000 and defense+1000. - [Activate] "Fire Wand" You may pay 1 gauge. 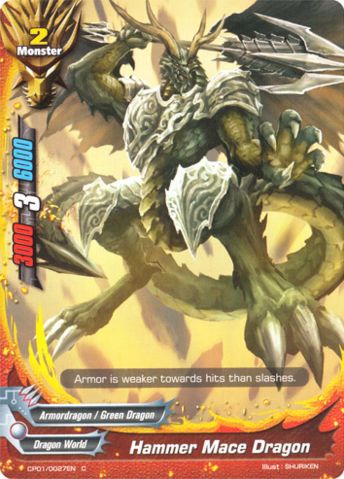 If you do, choose one of your 《Armordragon》 monsters, and for this turn, that monster gets power+3000. 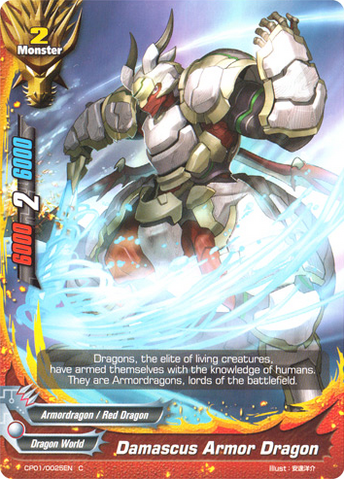 - All of your other 《Armordragon》 on the field other than this card get power+1000 and defense+1000! 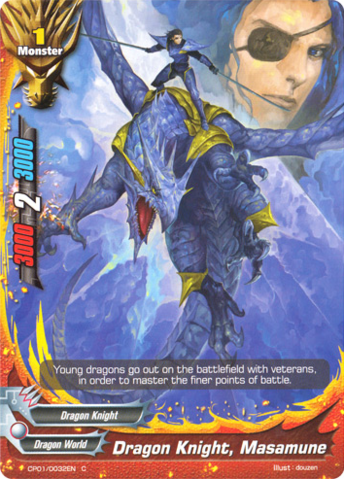 - You may only cast this card if you have a 《Dragon Knight》 in your drop zone. 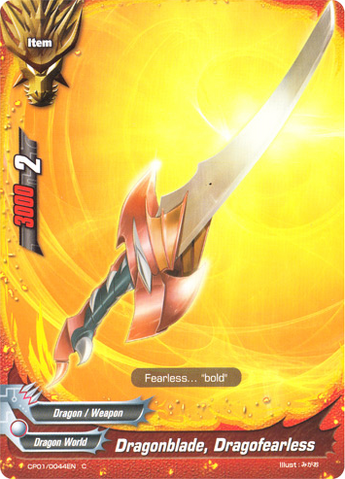 - For this turn, one of your 《Weapon》 gets power+5000. 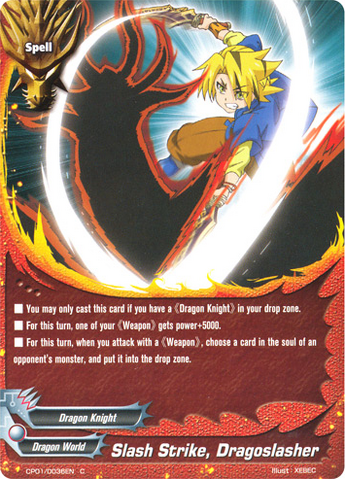 - For this turn, when you attack with a 《Weapon》, choose a card in the soul of an opponent's monster, and put it into the drop zone. 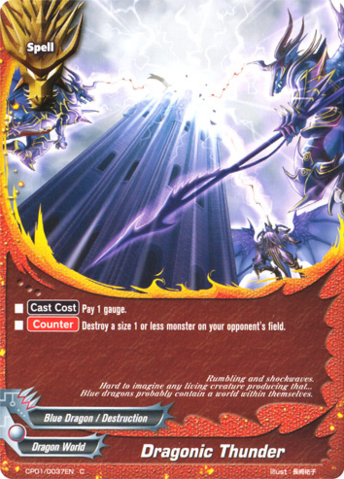 - [Counter] Destroy a size 1 or less monster on the opponent's field. 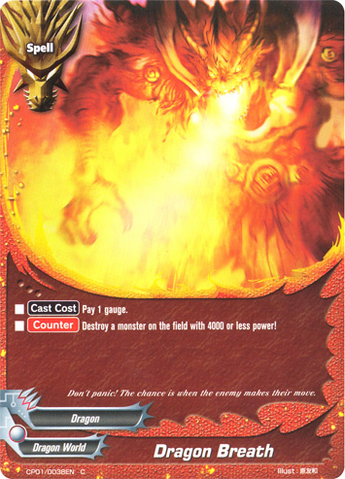 - [Counter] Destroy a monster on the field with 4000 or less power! - [Cast Cost] Pay 3 gauge. 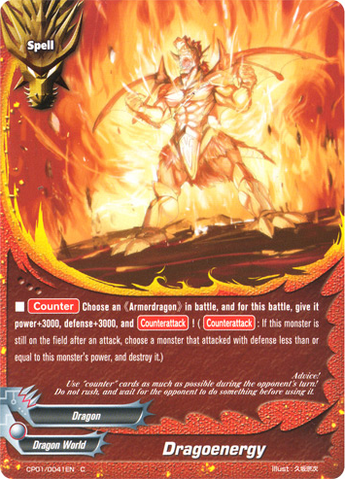 - [Counter] Choose an 《Armordragon》 in battle, and for this battle, give it power+6000 and defense+6000! 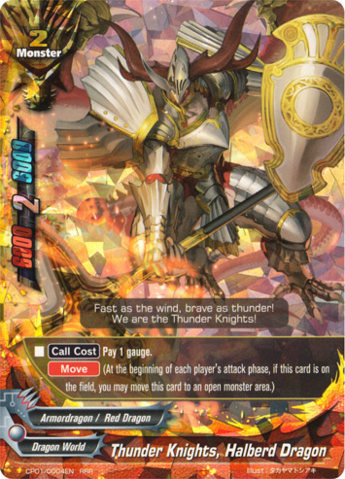 Red Dragon Knights "Song of Burning March"
- When your 《Armordragon》 enters the field in the left or right, you may pay 1 gauge. 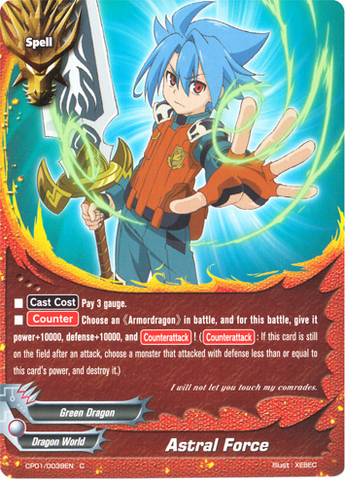 If you do, deal 1 damage your opponent. 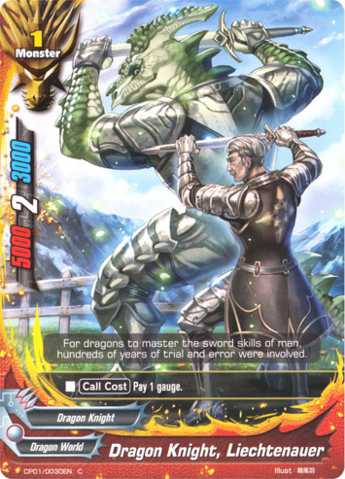 You may only use this ability once per turn. 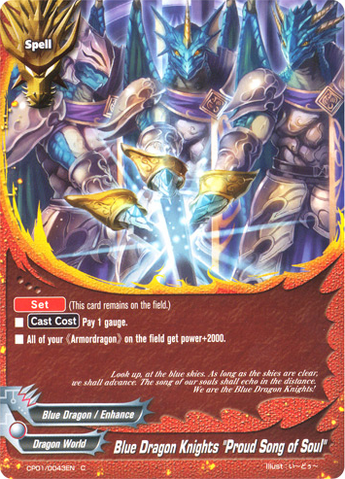 Blue Dragon Knights "Proud Song of Soul"
- All of your 《Armordragon》 on the field get power+2000.